As you can see in this post, I chose the less expensive lace dress out of my two favorite options. It was a tad short by the time the shower actually rolled around, due to the increase in belly bulge...man it grew fast all of a sudden!! By the time my New York shower occurred (this past weekend), this dress was sadly waaaaaay too short to even be presentable. For real though, its actually a wash cloth for baby. Cute gift right? Gorgeous dress. love the fringes. Pretty dress! I really love the necklace. Fab baby shower outfit. Wow two showers in two very different states=awesome! you and your baby are so loved! 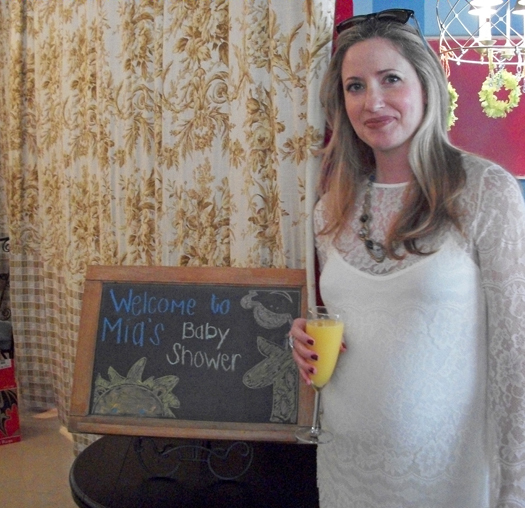 I don't think I ever seen anyone look so fabulous at their baby shower!! Great outfit choice! ohhh such a great dress! Looks like it was a wonderful shower! Mimi, you looked awesome! That's a really pretty dress :) I love your boots girl. That puppet wash cloth is gonna be super fun. Too cute! Have a wonderful evening chicadee. You definitely have popped since the last time we saw your cute bump!! You look so great in that dress..I love the addition of the necklace. Ha...I thought you could be doing a puppet shoe too!! You look perfect! Love the lace dress and I've seen it on Singer. 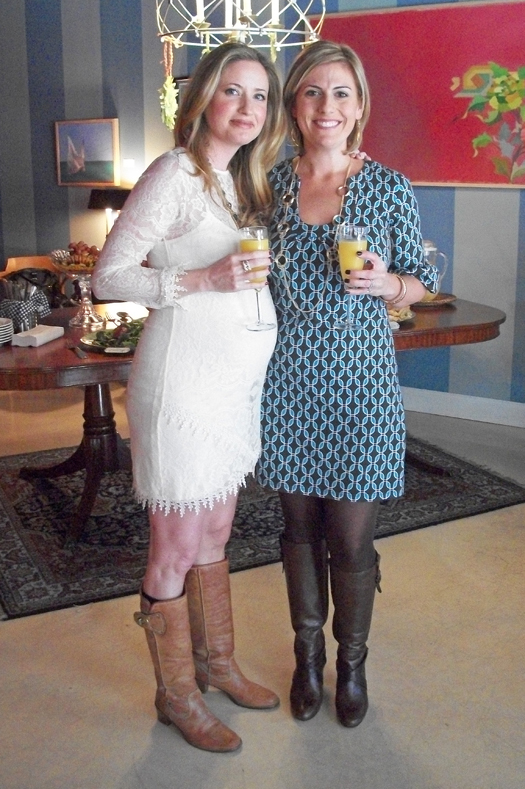 Love that your like me, rocking the fashions while pregnant :) Happy Shower and your looking gorgeous!